If you need to increase your firm’s productivity level, outsourcing some tasks to Indian IT outsourcers is the way to go. In fact, India has 2.8 million people working hard in the outsourcing sector. Moreover, India’s annual revenue from outsourcing activities is around $50 billion. What does this mean for you? It means tons of opportunities because you will be able to tap into this field to make your business stand out from the pack. Read this article about IT outsourcing to India if you want to find out more reasons why you should outsource your important IT activities to Indian IT outsourcers. The key reason to outsourcing is to cut costs. By outsourcing, you will turn any fixed cost into a variable one releasing more capital for investment in other areas of your venture. This will allow you to avoid any large expenditure in the early phases of your company, for instance. In addition, IT outsourcing will make your company even more attractive for any investor out there, as he will be able to put more capital into any other revenue-producing activity. 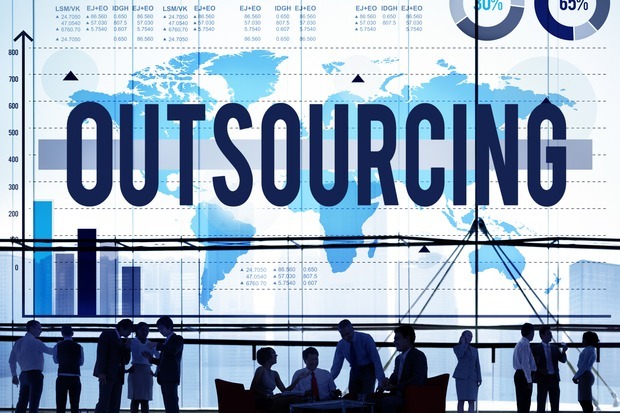 Outsourcing will allow you to reduce your business risks as an outsourcer will carry it for you. If your IT staff is doing everything, your firm will have higher expenses, and you will have to pass on these costs to your clients. Outsourcing can also give you the competitive advantage that you have been seeking thanks to an outside provider’s economy of scale and cost structure. In addition, outsourcing will allow you to focus your firm on the most productive human resources out there. You will avoid hiring temporary workers who don’t live up to your most important expectations as well. By outsourcing your tasks or projects to individual workers or outsourcing firms, you will avoid a lot of headaches such as hiring the right staff, training them, and providing the support they all need. Any project that normally takes months can get started in days if you hire the right IT outsourcing firm. Outsourcing will allow you to focus on the bottom line avoiding peripheral tasks. In addition, you will be able to set your priorities more clearly. Your company will get access to economies of scale, expertise, and efficiency that only the big boys enjoyed in the past. You will be able to get top guns in the IT industry at a fraction of the cost. For instance, you can hire an entire team of software developers with the same amount of money as you will need to hire a full-time executive. It means cheaper software costs among other things. Remember that you will not have to spend a lot of time trying to find the right person for the right job, as outsourcing firms in India will take care of this. IT outsourcing to India will make you save a lot of money because you will avoid hiring a complete team in-house, which can drive your expenses to the roof in no time. Are you finding reliable partners for outsourcing IT services in India? Collaborate with Signity Solutions to get high-quality services from experienced resources at modest prices. Setup Your Own IT Team in India Today.